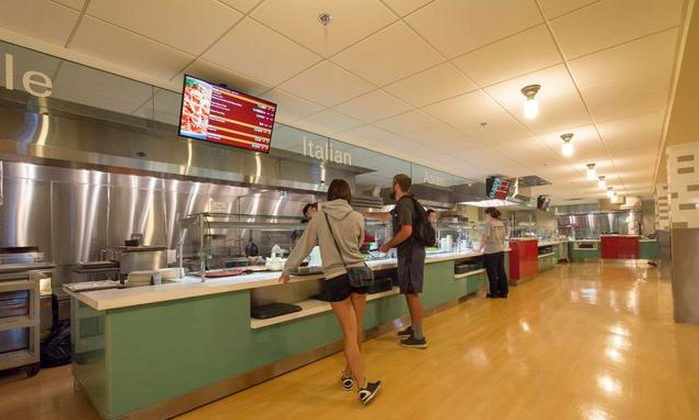 Located in Wheelock Student Center, the central hub of campus, the Diner provides students a vibrant dining experience that nourishes students and our campus community. 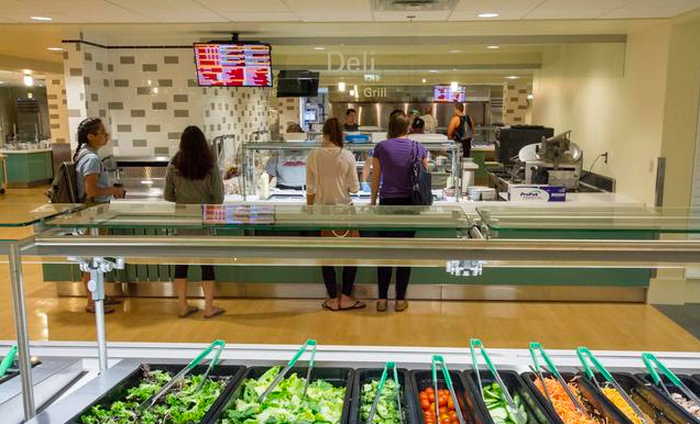 Dining at University of Puget Sound operates like a prepaid debit card. 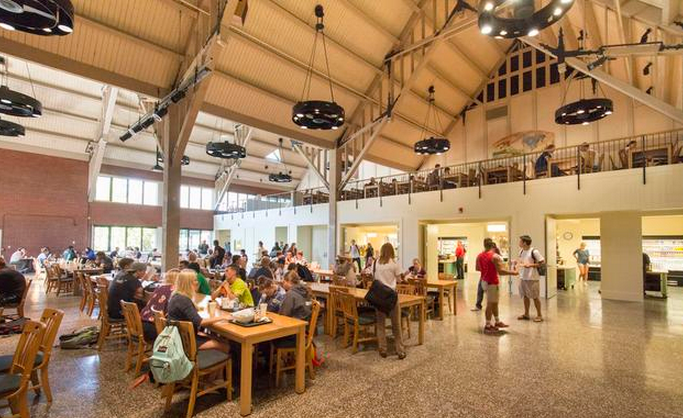 You choose the meal plan that meets your lifestyle needs, and the funds are loaded onto your Logger card in the form of Dining Dollars (D$). Items are priced individually so each time you make a purchase; you pay only for what you eat. You can also use your D$ at any of the dining facilities on campus during any regular operating hours (hours vary by facility). 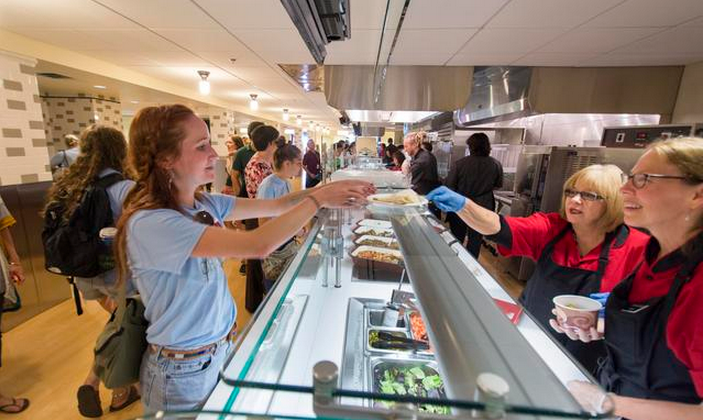 Dining facilities on campus are open as early as 6:45 a.m. and as late as 1 a.m. to ensure students have accessibility to food regardless of their diverse agendas. We are dedicated to meeting the dietary needs of our students. 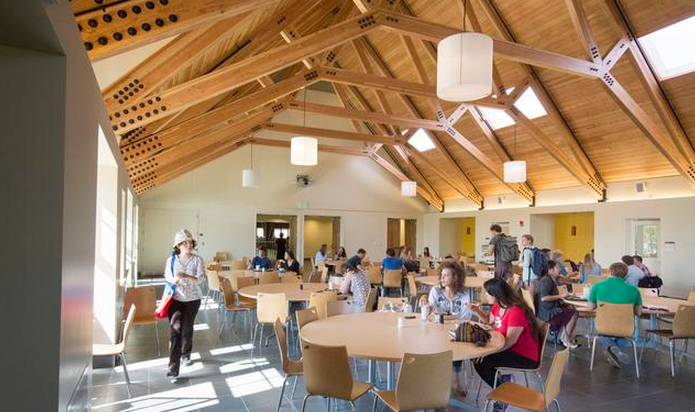 Rated among the top ten Most Vegan-Friendly Colleges for several years running, Puget Sound offers a large range of dietary options including an entire station devoted to accommodating those with any of the eight most common food allergies and gluten. Have a food allergy? Check out our allergen icons located throughout the menus in the Diner to see all the options available to you. The Diner supports local farming and regional production efforts and give those companies first priority in all purchasing decisions. We strive to decrease our impact on the environment by increasing awareness around sound and sustainable environmental practices in our dining facilities. We count on your help and support in our efforts for environmental responsibility so let us know what matters to you. Students purchasing decisions have a huge influence on our menus and a real impact on the people and environment that sustains us daily. You can see how many total D$ you have left on your my.pugetsound.edu page under "student finances." Running low? You can purchase D$ in the same place. View the D$usage chart, which lets you know, based on your meal plan and the current week, how many D$ you should have left for the semester. Comments? Concerns? Requests? We want to know!